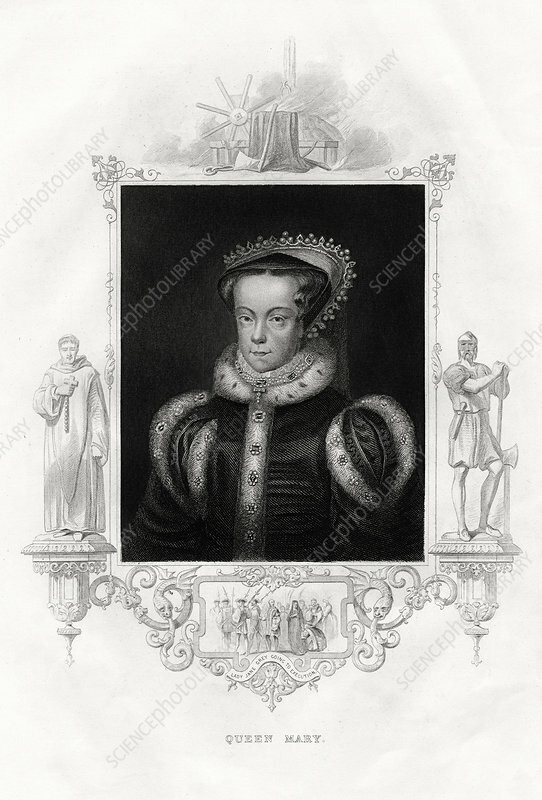 Mary I, also known as Mary Tudor, 1860. Portrait of Mary (1516-1558) surrounded by references to the execution of Lady Jane Grey. On the death of King Edward VI, Lady Jane was proclaimed queen on July 6, 1553. Mary, Edward's half sister, contested the succession and Lady Jane, having reigned for just 9 days, was imprisoned in the Tower of London. She and her husband, accused of treason, were beheaded on February 12, 1554.